Float to Work Day is canceled, but it will be back next year. “Don’t put those tubes away for too long,” said Sarah Dodson, assistant director of transportation. 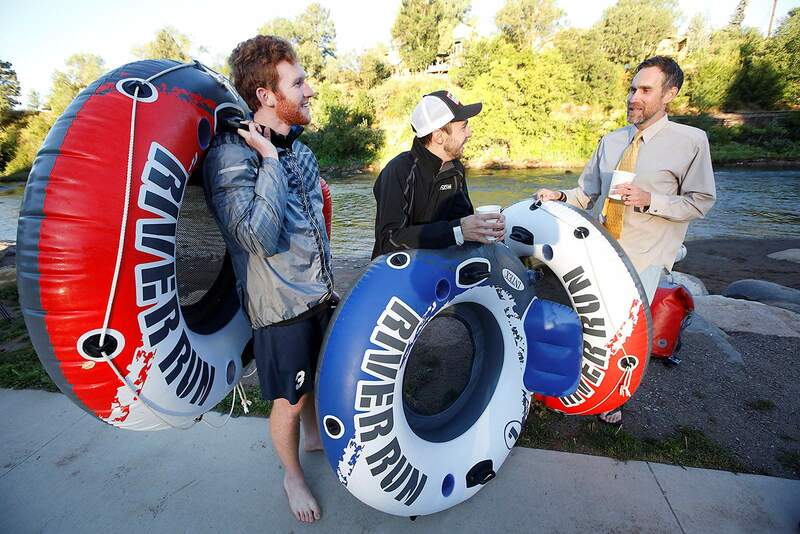 Kayakers, tubers and paddleboarders looking forward to the early morning camaraderie of the second annual Float to Work Day should consider a bike ride instead. Several Clean Commute Week events slated to happen in June were rescheduled for August because of poor air quality during the 416 Fire, but Float to Work Day was not among them. Float to Work Day was canceled and not rescheduled because there was uncertainty about the condition the river would be in as a result of the fire, said Sarah Dodson, assistant director of transportation. “We have just tried to be responsible and responsive to what’s going on,” she said. But there are other options to celebrate fuel-free transportation. Cyclists, motorcyclists, drivers and runners will race to complete a scavenger hunt around town at noon Aug. 21 at the Transit Center as part of the city’s Pedal vs. Metal Challenge. It’s an event that’s been dominated by cyclists for the last three years. Cyclists can also pick up free swag and snacks during Bike to Work Day from 7 to 9 a.m. Aug. 22 at Animas Chocolate Co., 920 Main Ave., and Mercy Regional Medical Center, 1010 Three Springs Blvd.